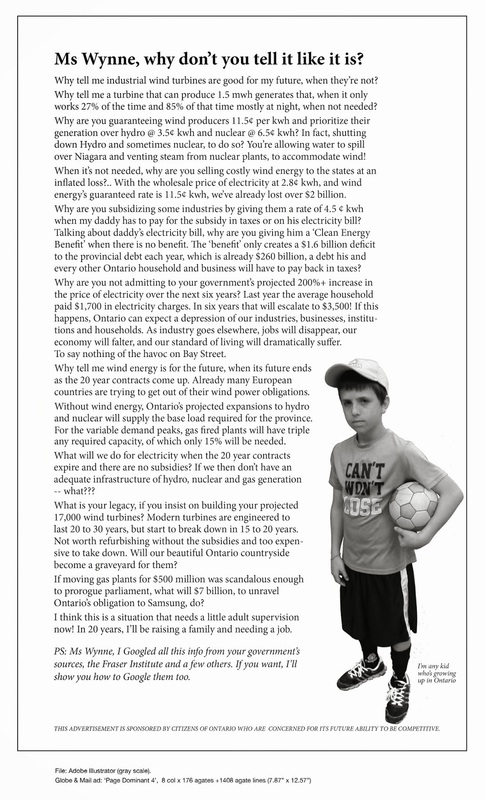 Wind Turbine Nuisance: a lawsuit against the Ontario Minister of the Environment | Mothers Against Wind Turbines Inc. There are some inaccuracies in M. Fauteux’ story, or perhaps it is the translation. The legal action concerning Mr Ballard is a “private prosecution” not a lawsuit. And it alleges that he permitted the discharge of a contaminant into the environment which may cause or is likely to cause adverse effect, as defined in the EPA (1-1). This is quite specific and it is not “nuisance” but rather, a violation of the EPA.